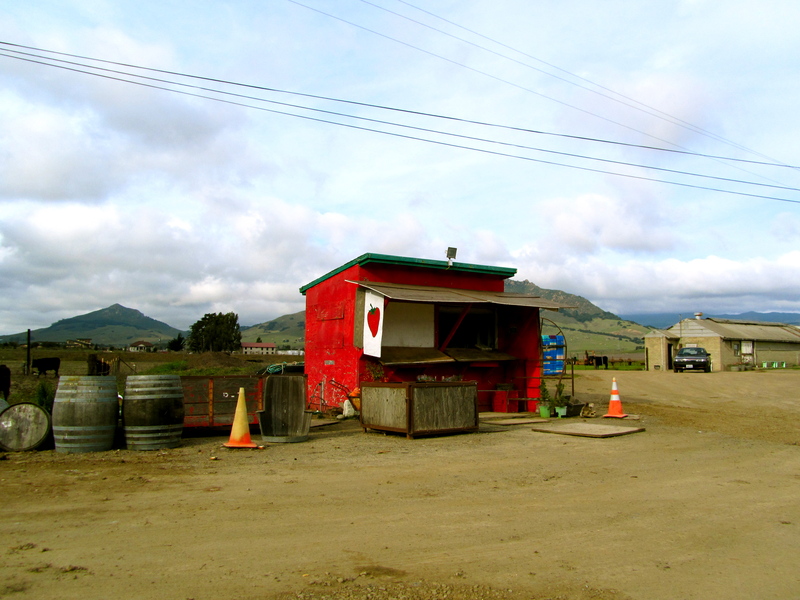 Life In The Slo Lane | A closer look at homelessness in San Luis Obispo. 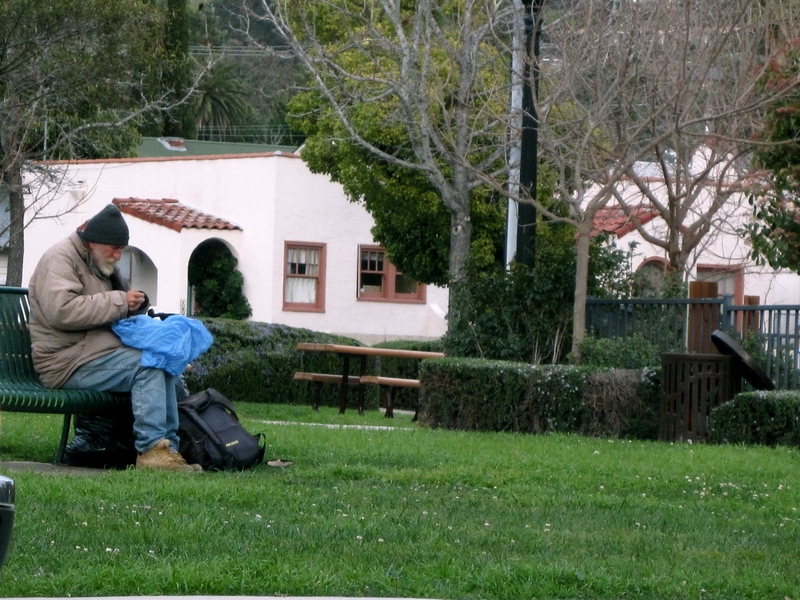 A closer look at homelessness in San Luis Obispo. Doc was sitting on a bench on the outskirts of Mitchell Park, which I’ve actually seen him on a few times previously as I drove by, but never stopped for an interview. But since today I’m taking a spin on my post Nice to Meet You, and interviewing homeless people again, except this time I’m attempting to impart my newfound “knowledge” from these last few weeks to them, I figured Doc would be the perfect person to interview. 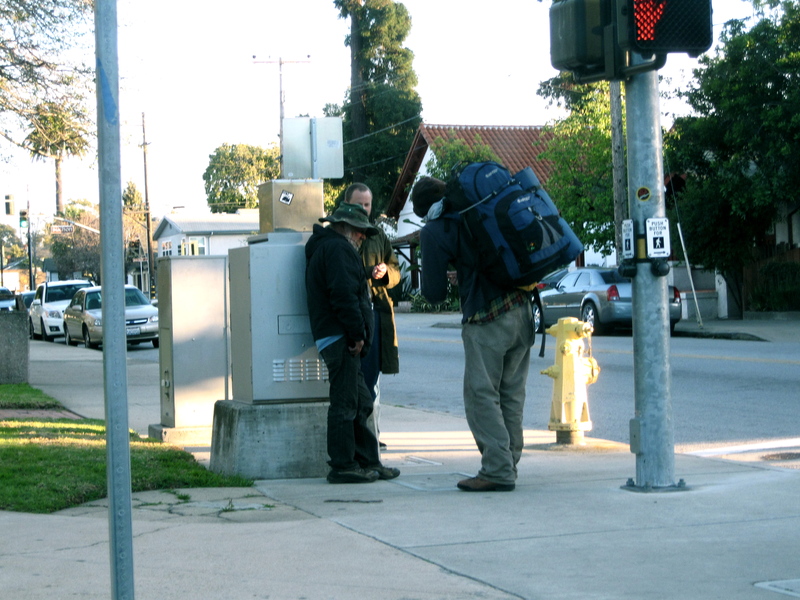 Doc is in his mid-sixities I would guess, with a scraggly beard, an ex-wife, multiple children, -17 dollars in his bank account, a walkman, a sleeping bag strapped to his bike, and a can of Raid to keep the dogs or other homeless people away from him. Doc is a veteran who served for 9 years and then worked at the nuclear plant in San Luis Obispo, but a divorce left him clinging to the bottle, which eventually led him to a suspended license, and then a DUI while driving with a suspended license. After a year in prison, Doc found himself without a job, without a house, and without a family. Doc told me that bums are the one’s that panhandle. Doc also said that the only people benefitting from the day center are the people working there, and all they do is favors for the people they like. Doc prefers to just travel and work odd jobs anywhere he can get one. From our interview, I counted 7 different states that Doc has either traveled through, lived in, or stopped in. The list is, California, Oregon, Washington, Alaska, New Mexico, Arizona, Colorado, Utah, Wyoming, Idaho, and North Carolina. And those are just the places he mentioned in the few stories he told me. When I asked Doc if he had ever been down to Sunny Acres, and if he would consider staying there, he told me that Dan de Vaul is a “dingbat, and a dodgy old fart.” He actually couldn’t believe that Sunny Acres was still open, because he knew that the county has been trying to close it down for years. As Doc and I were talking, another homeless man migrated away from a group in the middle of Mitchell Park and came up to us, and Doc thanked him for the sandwich he had given him the previous day. Doc introduced us, and the man told me his name was Douglas Mattews. Doc then proceeded to explain how I was interviewing him. Douglas then sat down and we all started talking together. One of my favorite stories that Doc told us was about a time when he was hitchhiking through Arizona and a police officer pulled up behind him and started giving him a rough time. Doc proceeded to tell us that the police officer actually handcuffed him to a pole that read “No Hitchhiking,” and left him there for about an hour. When the officer got back he cuffed both of Doc’s hands together and put him in the back of his cruiser. Doc said he started mouthing off to the officer and about 5 minutes into the car ride, the police man dropped Doc off at the front of the police station and told him to tell the front desk that he had the flu and they would give him a voucher for a hotel room for the night. Doc was astounded, and even more to his surprise, the cop slipped a ten dollar bill into Doc’s coat pocket, and told him to get the receptionist to take his cuffs off for him. That was just one of the half dozen or so stories that Doc told me of his encounters while traveling, many of which he looked back on almost nostalgically. Doc and Douglas told me about a song called “Cold Water,” by Tom Waits, which they claimed depicted the life of a homeless person quite well, and was worth a listen. Since I was already running late for my 5’oclock class after talking with Doc and Douglas for over an hour, I tried to wrap things up, and actually told Doc that he needs to write a book about all the things he’s witnessed and experienced. Dana Lilley, a planning supervisor within the Housing and Economic Development branch of the county’s Planning and Building department, explained to me precisely what CAPSLO and the county are planning to accomplish through their plans of building San Luis Obispo a new homeless shelter. 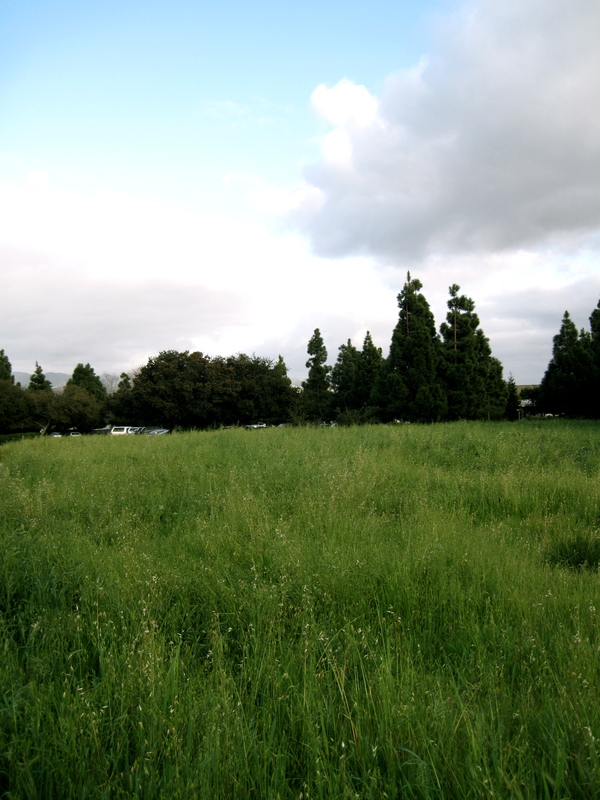 The 1-acre plot of land located on S. Higuera is being donated from the county to CAPSLO – which is the Community Action Partnership of San Luis Obispo; and the organization that drafted the proposal for the shelter in the first place. This proposed structure would have the capacity to hold 200 beds, which far exceeds the Maxine Lewis shelter’s capacity of 50 beds. As of now, CAPSLO has gotten approved for a use permit but not a building permit because they haven’t begun the actual planning of the structure. Dana Lilley says their hesitation comes from fears that there isn’t appropriate funding for that type of structure. The whole process is believed to cost approximately four to eight million dollars to build, and that’s not including the money that is going to be needed to keep the shelter up and running every year. But since the county is heavily involved in the plans for the shelter, they hope to receive federal funds to assist in building the shelter. That also means that CAPSLO must comply with federal demands and policies in return. CAPSLO plans to use a “design-build” approach, meaning that they’ll find someone who is willing to not only design the architecture for the building, but also use the same company to contract it. Dana Lilley believes that the new San Luis Obispo facility should continue to move ahead but he wants the county to understand that there aren’t unlimited funds to be devoted to it. Dana recommended that I speak to Adam Hill who is not only a chairperson on the county’s Board of Supervisors, but also an english teacher currently teaching at Cal Poly. Dana said out of all the supervisors, and actually many people in the county, he is the most dedicated to this project. Unfortunately I couldn’t get in contact with him for an interview. 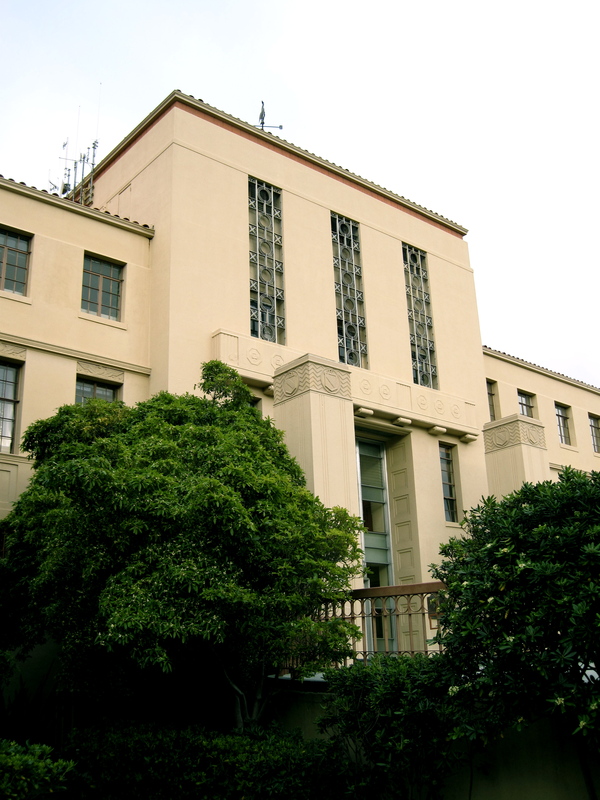 So I then called Suzan Ehdaie, another planner in Dana’s same department, whose offices are located in a section of the San Luis Obispo County’s old courthouse, and asked her some follow-up questions about the shelter. She told me the actual location of the 1-acre plot of land donated by the county, which allowed for me to head over and check the place out myself. When I got to 3451 S. Higuera, I was quite underwhelmed. 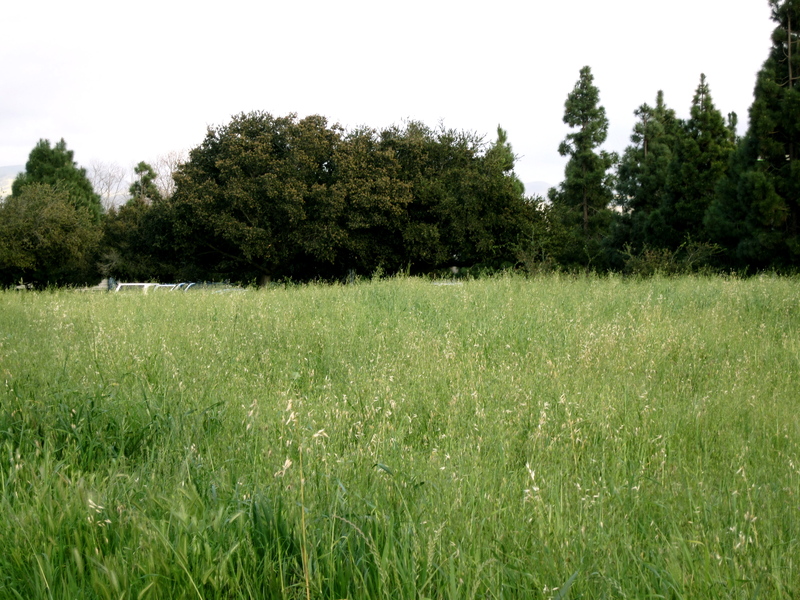 I envisioned 1-acre to be much larger than it proved to be. 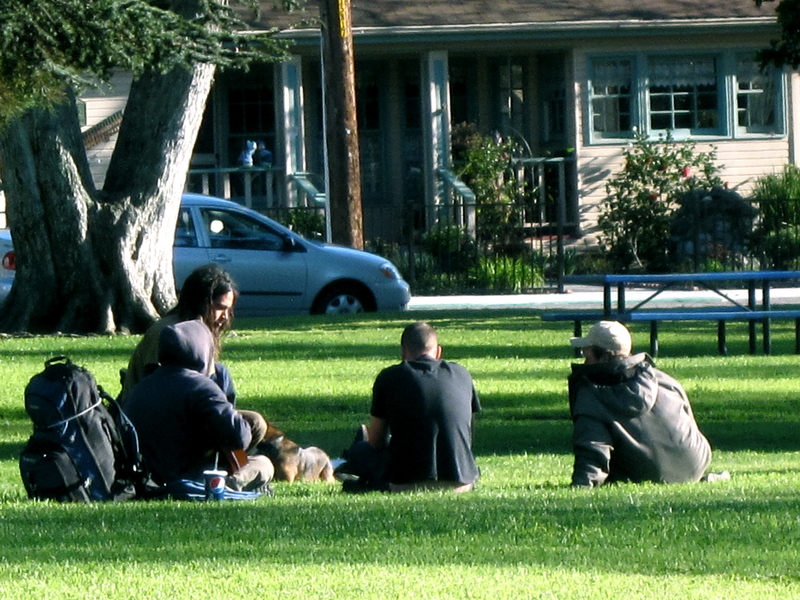 I was actually concerned that I wasn’t at the right place, so I asked the neighboring Department of Social Services if there were plans to build a shelter in the nearby grassy field. They confirmed that yes, I was at the right place. Something that I did find interesting about the location of the plot of land was that it was only minutes away from the Prado Day Center, which I thought of as a strategic move on CAPSLOs behalf. 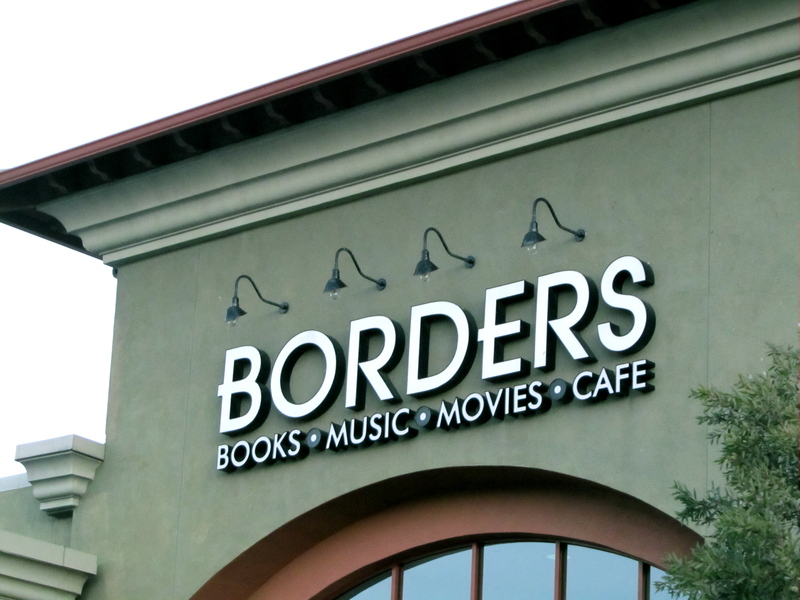 Seeing as they would be overseeing both locations, it could make things simpler. After wandering the field that should be a shelter in an optimistic average of 2 years, I went over to Trans-King Transmissions, which is on the other side of the lot and asked how they felt about the potential building. Well if I didn’t know my way around San Luis Obispo before, I without a doubt, do now. Along with all the driving I did for the interactive map, the location of Prado Day Center proved to be a lot more confusing for me than I expected. Once my sense of direction kicked in, and I found the day center, I was only met with disappointment. No one working there wanted to be interviewed. 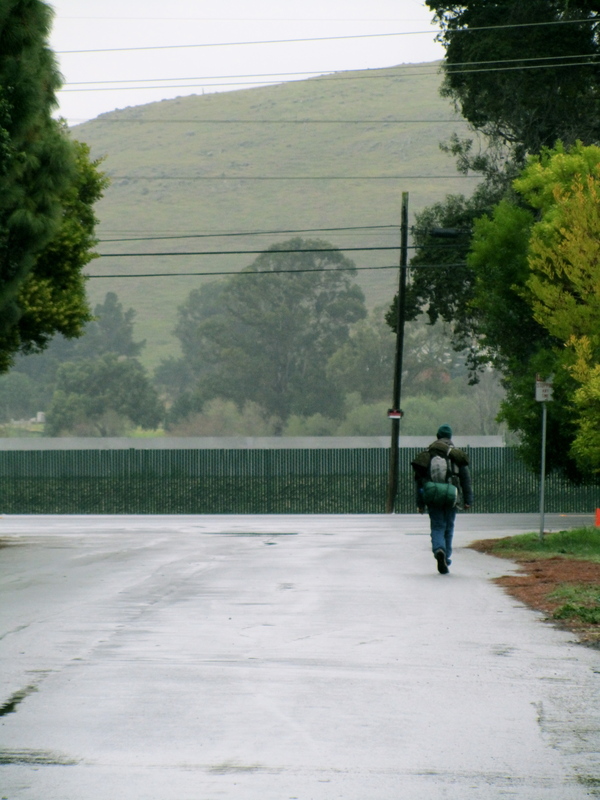 The serving of lunch was over, and any remaining stranglers were already walking down the road away from the shelter. Without hope of homeless people to interview about the day center, I practically begged the workers for an interview. Each one kept pointing me in the direction of someone else to talk to until someone finally said I’d be better off getting in contact with CAPSLO. 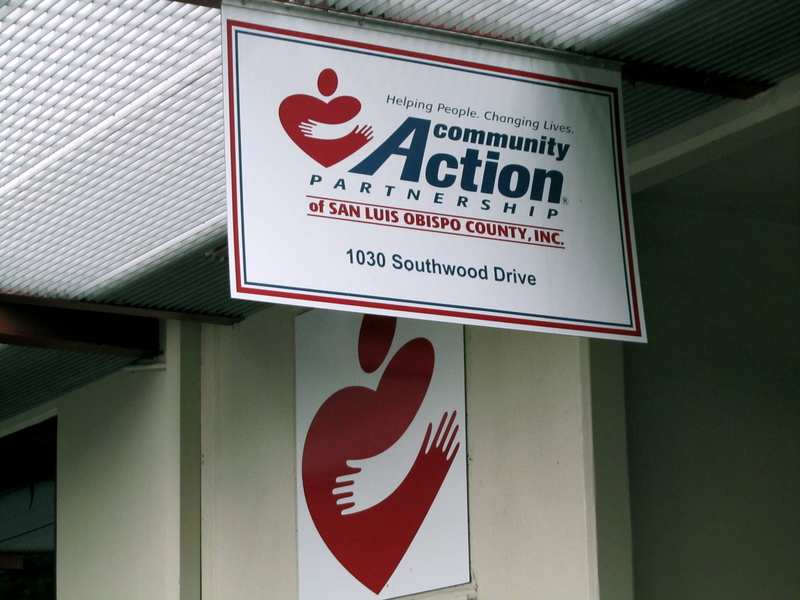 CAPSLO, as I came to learn, is the Community Action Partnership of San Luis Obispo. I thanked Beth, my eventual savior, as she gave me the number to the CAPSLO offices. On my way out of the day center, I spotted an RV parked in the parking lot. I noticed a sign on the window advertising hours, so I went to take a closer look. 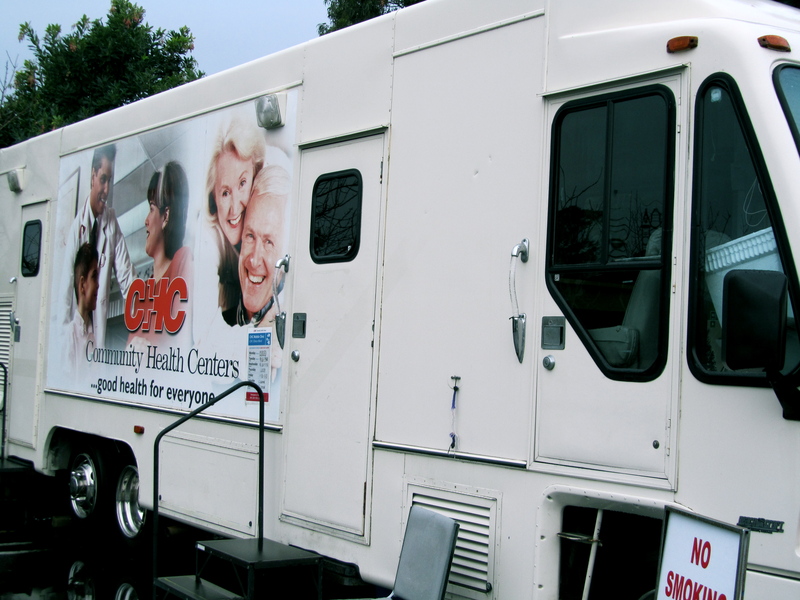 The sign read “CHC Mobile Clinic” with hours of operation listed below it. 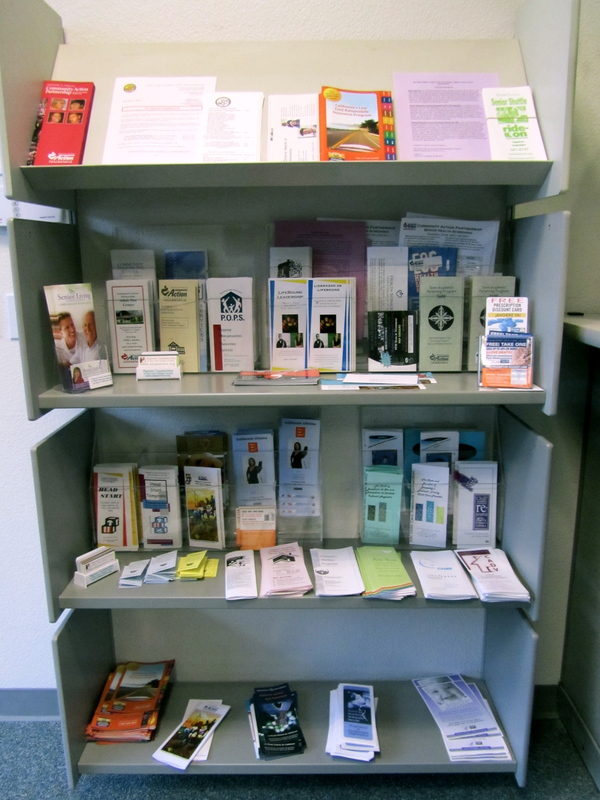 CHC stands for Community Health Centers. I really liked the idea of the mobile clinic and have actually never heard or even thought about the idea of one before. The one negative thing about the day center, other than not being able to get an interview, was its location. Although there is a bus stop right next to the center, it’s extremely out of the way from regular foot traffic. Back to my conquest for an interview; I called CAPSLO’s administrative office and told the receptionist about my article and asked who I should talk to. She transferred me to Jenny. I left a message for Jenny and called the administrative office again, asking if there was anyone else in HR that I could talk to. I was then transferred to Tom; this happened two more times until I finally decided to just drive to the office myself. My dad has told me multiple times that people have a much harder time saying no in person. She recognized my voice from our already half dozen conversations on the phone. After talking for a while she gave me the number of Dee Torres, who is the Homeless Center Overseer, which means she oversees the operation of both Prado Day Center and Maxine Lewis Homeless Shelter. My call to her was also futile. The CAPSLO receptionist was easily the most helpful person that I spoke with today. She gave me extension after extension of numerous numbers, until we were eventually successful in a live voice, which was a breath of fresh air after dozens of answering machines. My success came in the form of Laura from CAPSLO Human Resources. I doubt she could hear the disappointment in my voice, because even when I explained to her that the interview was only a couple questions long, just to get a more personable spin on the facts of what the Prado Day Center does to benefit the homeless in SLO, she still adverted me to other numbers who already had my voice on their answering machine. The worst part was that we were only literally feet away from each other as I sat in the lobby of her office, but she couldn’t be interviewed. So that my trip wasn’t completely unfruitful, I perused their plethora of pamphlets and actually found a couple of beneficial ones. As you can assume from my title, these pamphlets were the most information I could get about Prado Day Center. I hate to dedicate a post completely to my failure, but I will redeem it as much as possible by imparting my knowledge through pamphlets with you. Between the period of January and March 2010, 15,434 meals were served, and 1,820 bus tokens were distributed. This map is to illustrate the hypothetical day of a homeless person. The order of the destinations listed, is the order I would go in if I were to be homeless. The end of the list is designed to be able to loop around to the beginning and start back over. 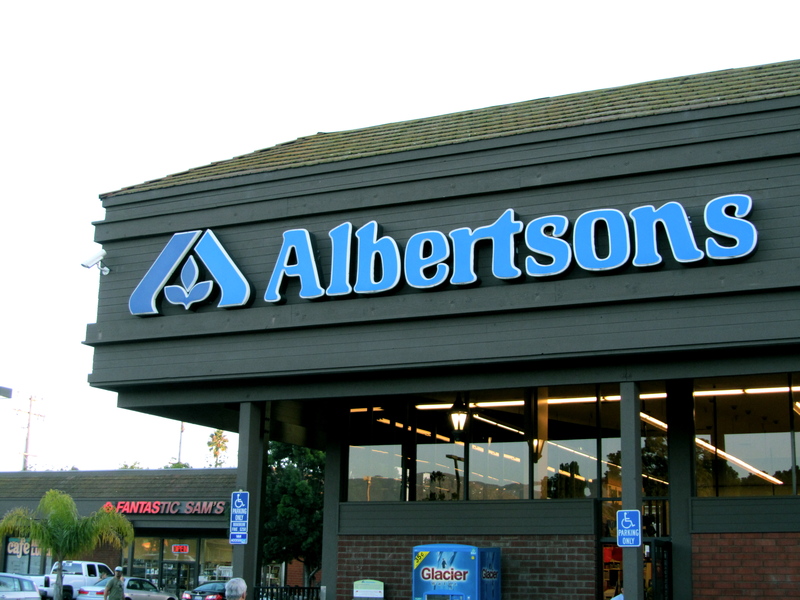 After hearing this said one time too many, I decided to do a little research and find out if businesses in San Luis Obispo would even hire homeless people if they went in to apply. Thinking back to my interviews with Chad and Sandra, they both said they don’t make the effort because not only are they lacking references, they’re also unable to become presentable enough for an interview. 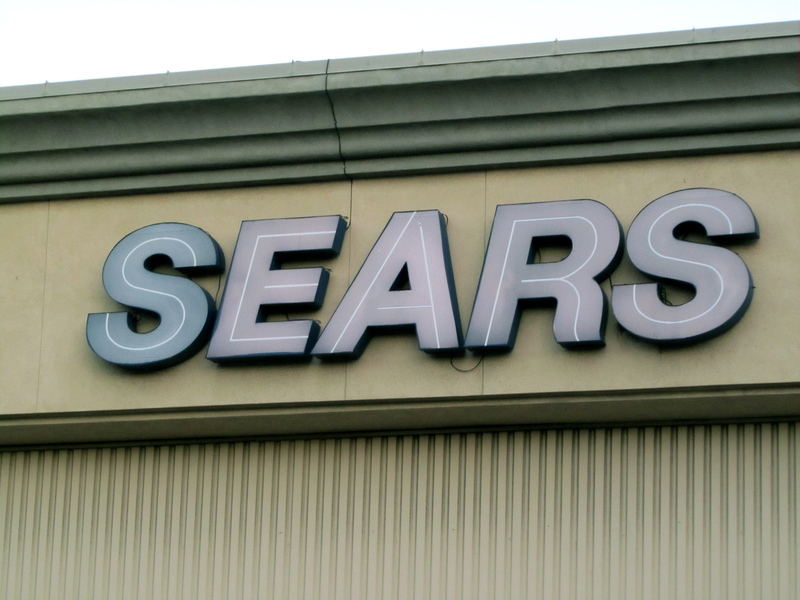 My first stop was the Sears in the Madonna Shopping Plaza. After being transferred from a department manager, to a store manager, I finally met a woman named Christina who worked in their human resources department. I asked her if she would ever consider hiring a homeless person if a position were to open. I asked her if I could record her opinion on the issue and much to my surprise she turned me down. She said that it’s against corporate policy and I would have to get ahold of the corporate branch for a statement. 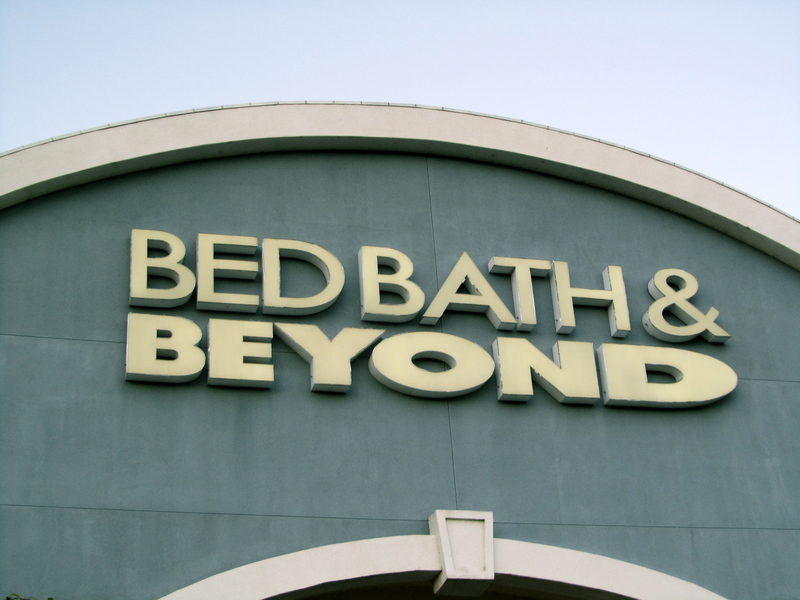 Surprisingly, I got the same response from Borders, Albertsons, CVS and Bed Bath and Beyond. They’re all corporately owned and they all said they couldn’t give statements unless it went through corporate. I really think it was my recorder that scared them. Many of them didn’t mind talking to me until I whipped out my recorder and asked them to repeat their statement. I’m assuming they thought by having their words recorded it could get them into trouble if they didn’t match up with “corporate’s” pre-set responses; which they have configured as an attempt to keep their company out of trouble. One positive aspect I got from these interviews though, is that all four of the managers I talked to seemed open to the idea of having a homeless person work for them. Many of them mentioned references though, and that the homeless person’s criminal background is also a large determining factor. Her boss Irma, on the other hand was less talkative. She told me once again that she couldn’t go on record saying anything about it, that I must go through the corporate office, but she did say that anyone is welcome to fill out an application. It took me a while to take a hint, but since the trend was so reoccurring, I decided to find some “mom and pop” businesses around SLO that would be more apt to talk to me. 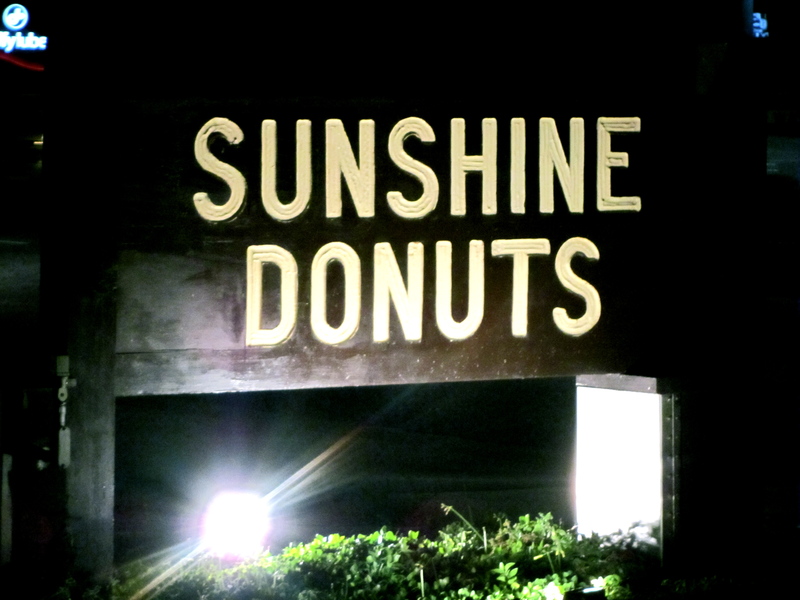 When I walked into Sunshine Donuts there was a tiny asian woman at the counter ready to take my order, but instead I told her about the article I was writing and asked if she would ever consider hiring a homeless person. She didn’t object in the slightest when I asked if I could record her statement. She mainly said that as long as business increases, and there’s work, she would hire a homeless person to clean or work a few hours per week. Studio Video, another local business who also didn’t mind being recorded, said that although a homeless person wouldn’t be their first choice to hire, if they had references, and worked fine with people, then it wouldn’t be out of the question. 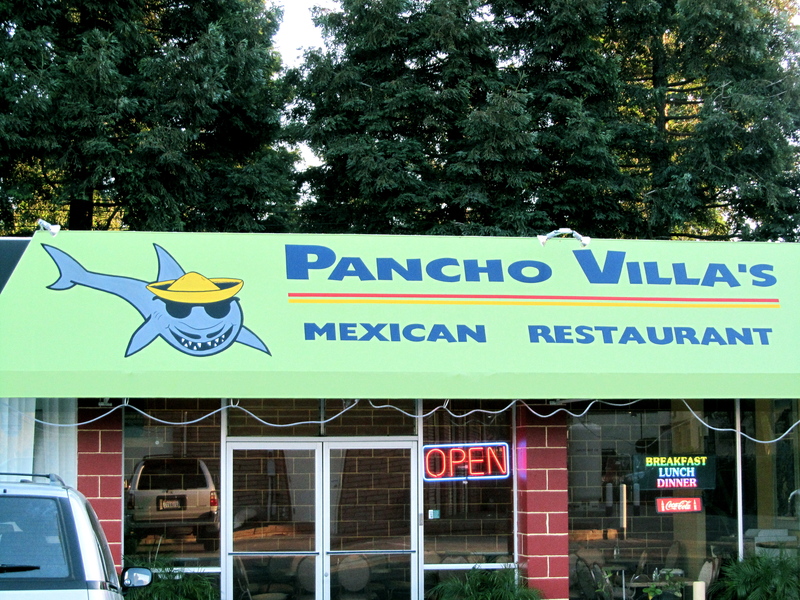 Locally owned, Mexican food restaurant, Pancho Villa’s manager Carmen, believes that everybody deserves a second chance. After all of my interviews, I came to the conclusion that if I were ever to become homeless myself, I would never in a million years try and get a job at a corporately owned company. If the workers aren’t allowed to talk about their hiring standards because it could conflict with how the corporation wants their company viewed, then I highly doubt they would go so far out of their way to hire a possible burden on the company. Because the smaller businesses have more say in the actual act of hiring, I would suggest to any homeless person, with or without experience or references, to apply there, where their public appearance isn’t the only thing that matters to them. “Dan de Vaul?” As a burly man slowly approached me, I warily walked toward him, and as I got closer I soon recognized him from his picture in The New York Times. We gingerly shook hands and I introduced myself as the student he had spoken to on the phone just hours prior. He invited me upstairs and I was bombarded by two yapping dogs at my feet as we sat down and got comfortable, and went straight into the interview. Now for those of you reading who don’t know who Dan de Vaul is, I’ll summarize it as best I can. 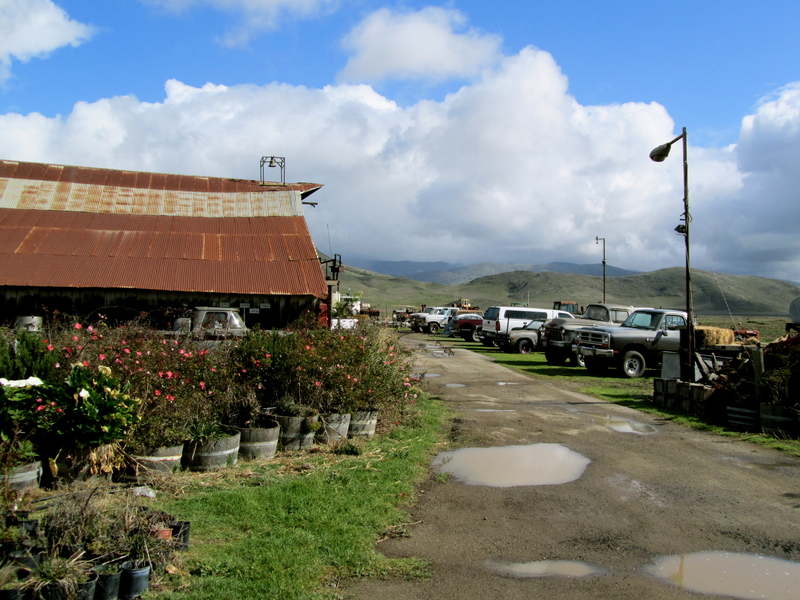 As of 2001, de Vaul has been housing homeless people on his 72-acre ranch, Sunny Acres, in campers, tents, and RV’s. Not only do his clients live there but they’re also required to work , and pay four hundred dollars per month, which can be paid off through the work. They receive 3 meals a day, and must attend weekly AA and NA meetings. Dan began to house the homeless because he knew what it was like. He’s been 30 years sober, and says that although he was never homeless himself, he was on a path leading straight toward it. Now his main goal is to keep as many people as he can off of that path. 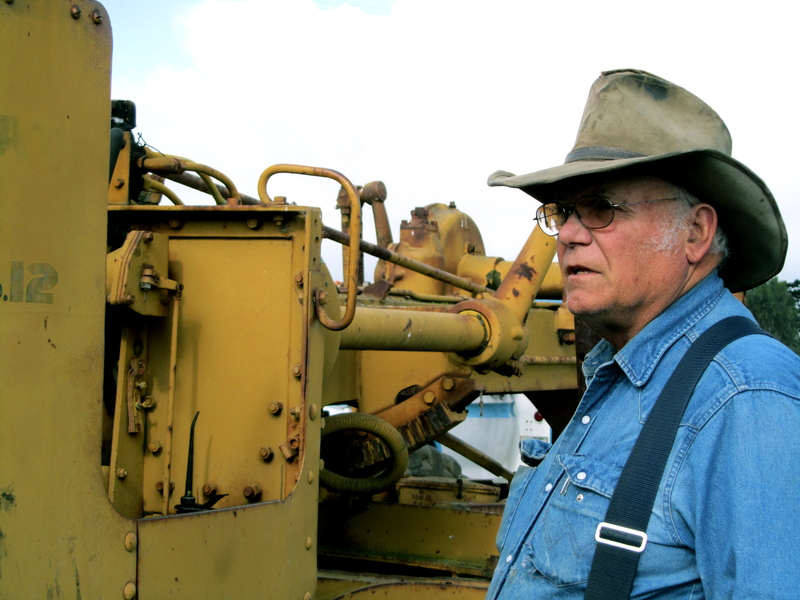 Once de Vaul chose to build a barn for his clients to live in, that’s when all hell broke loose. The county cracked down on him for breaking zoning codes and threatened to tear it down if he wouldn’t. De Vaul forged on with his operation and left the barn intact. 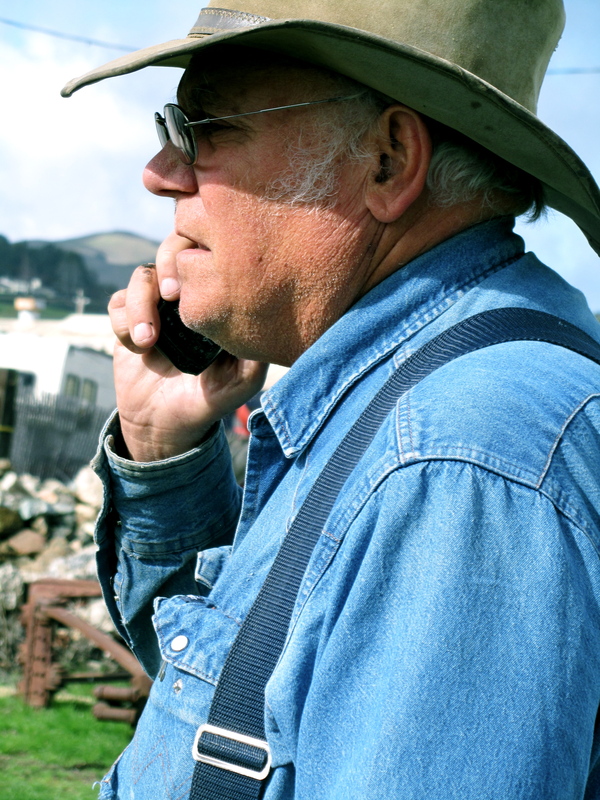 This action led to his eventual day in court, after many lawyers, hundreds of thousands of dollars, dozens of surveyors and photographers, even a Cal Poly class project, and many talks with the county’s Board of Supervisors. Initially de Vaul chose to be his own lawyer, but was later approached by Jeff Stober, a leading attorney who offered to do it pro bono. After 2 judges recused themselves from the case, John Trice became the official judge in the case. De Vaul and his lawyer argued the “necessity clause,” because he believed these people needed his help, but Trice threw the defense out. De Vaul and his lawyer fought to have the case thrown out as a mistrial, but their request was denied. De Vaul was found guilty on 2 counts, innocent on 2, and there was a hung jury on 5. De Vaul was given the option of probation, but he instead asked to be put in jail. “I knew either way I would end up in jail. The first rule of probation is to follow all laws, and I knew I would be sent to jail inevitably because of all the violations on my property,” de Vaul said. De Vaul was sentenced to 90 days in jail plus a 1,000 dollar fine. After hours in what de Vaul calls his “carrot suit” he was told that he had someone who wanted to talk to him. De Vaul was led to a bondsman who said he had someone willing to pay his bond. De Vaul later found out that after juror #5 found out about the severity of De Vaul’s punishment, she worked with the bondsman to get him out of jail. De Vaul’s only reasoning behind this is that the county must have either regretted their decision, or had threats from outside parties. The day after de Vaul’s trial, he was in 317 newspapers nationally. His case got such widespread attention, and he believes that was one of the main factors in his release. After all is said and done, I asked de Vaul if it had all been worth it. It took him a while to answer the question, but what I mainly got out of his response was that he regrets that all the money used towards his fight with the county could have been used toward bettering the lives of people back at Sunny Acres, instead of being wasted. After our interview, Dan drove me around his ranch for a while and we met some of his clients, and he told me about the new calves and chicks that were just born. One man by the name of Cameron, talked to de Vaul about the current conditions and well-being of all the clients, and brought him up to speed. Cameron is one of the supervisors at Sunny Acres and has been there for 7 years as a client. Cameron makes sure all are awake and on time to do their day’s work and motivates them daily. I also got to meet Catherine, who works in the office and does the books for Sunny Acres. I snuck a peek at her computer screen and saw name after name with running totals, and spending amounts, and work time, all looking very complex. She and de Vaul discussed the current state of a client, and his potential removal from Sunny Acres after he violated one of their rules of no drinking. De Vaul walked me over to my car, and I can honestly say that both of us seemed reluctant to say goodbye. We had really bonded over the hours spent talking and I looked forward to going back and visiting him in the future. Dan de Vaul has become an advocate for what he believes is justice in San Luis Obispo, and it hasn’t come easily, but de Vaul can sleep well knowing the county is off his back. For now at least.